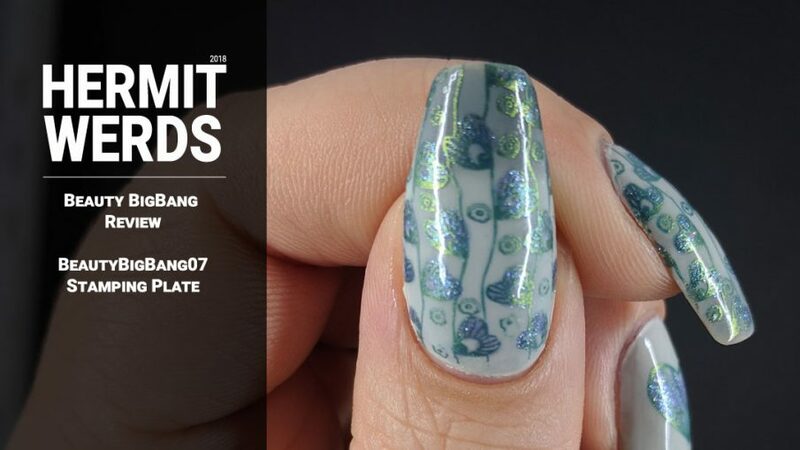 Today I am reviewing a stamping plate Maggie from Beauty BigBang sent me: BeautyBigBang07. Beauty BigBang currently has five different floral-themed stamping plates, but this was one was my favorite because I liked the heart-shaped pattern I used today and I looove the kind of sunburst-y art deco pattern in the plates lower right corner. The quality of the stamping plate is equal to the stamping plates I reviewed last year. They do not come with a plastic backing, but there are no sharp edges to worry about. 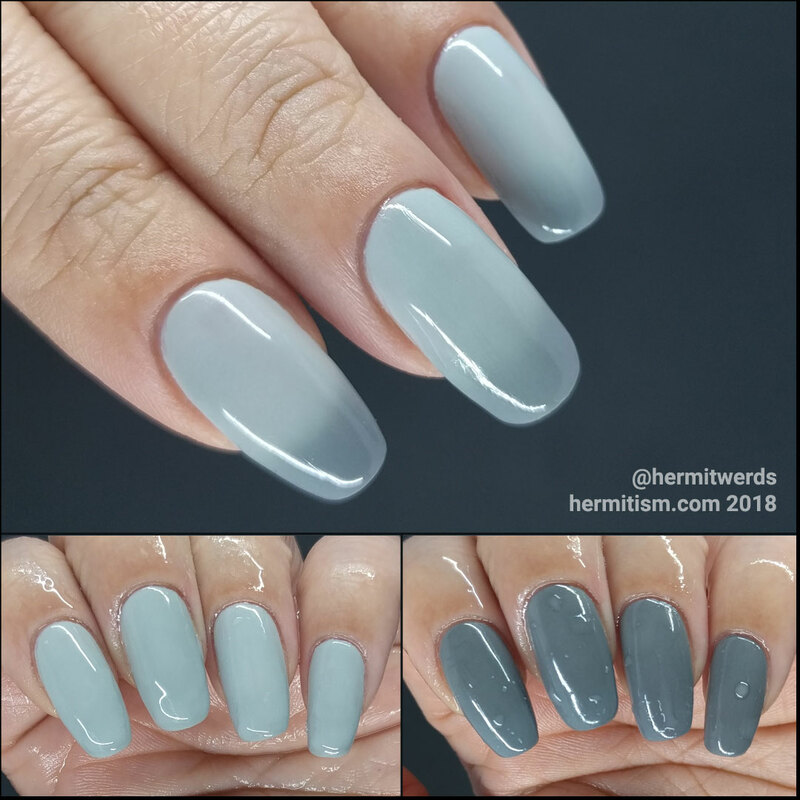 The etchings are of good quality; however, my nails are really long right now and the full nail pattern just baaarely fit on my thumbnail at 2.5cm long. I really don’t want my nails longer since it makes it hard to type so I do not consider this a downside, but size is a limitation depending on your nail goals. 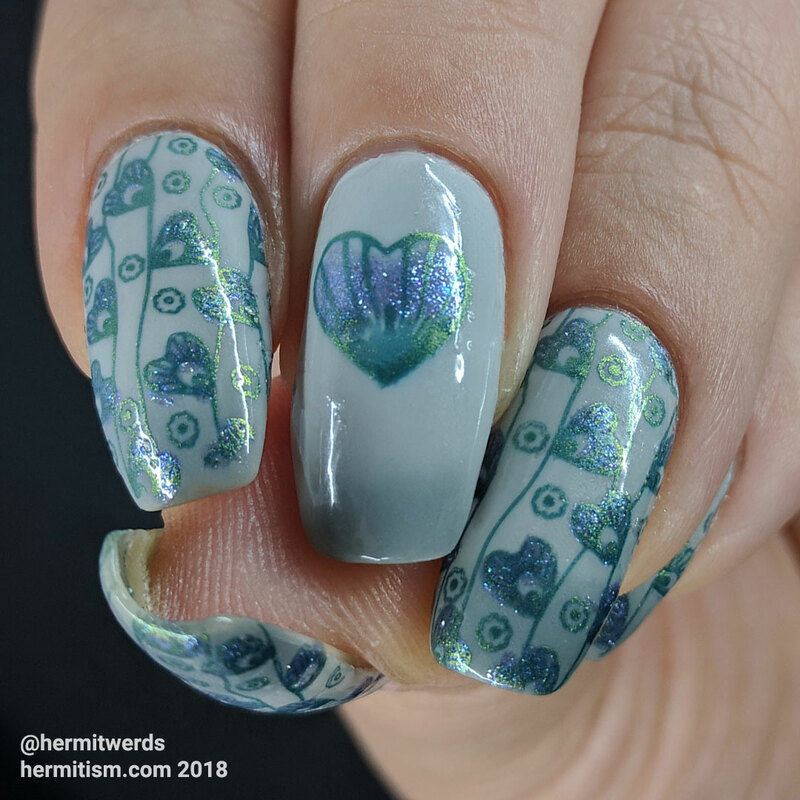 Since this stamping plate only comes with full nail patterns I had to search through my collection to find a heart that complemented the pattern. I found a match on one of my big acrylic circle stamping plates. 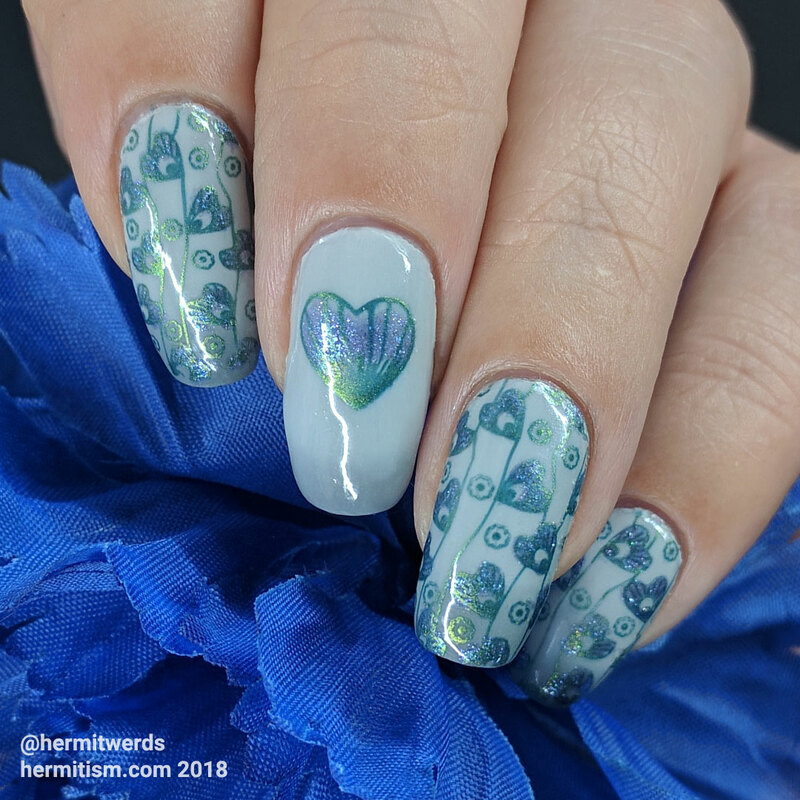 Then I filled in the decals with a sheer and glittery blue polish that really complemented the blue/green chameleon stamping polish I used and I was done. My goal of putting together a totally heart-filled nail art that didn’t feel super girly or Valentine-y was achieved. Granted, if I had had this last month I would have used a different color scheme and it would have so fit that other bill. It’s possibly just in how I think, but I feel like this is the most versatile of their floral plates because I can think of lots of ways to use each pattern. I think that’s important when you’re buying things or even when they’re being sent to you for free to review. And maybe that should be my standard now. Can I think of at least three ways I can use every new nail thing that I get? And am I excited about those things? 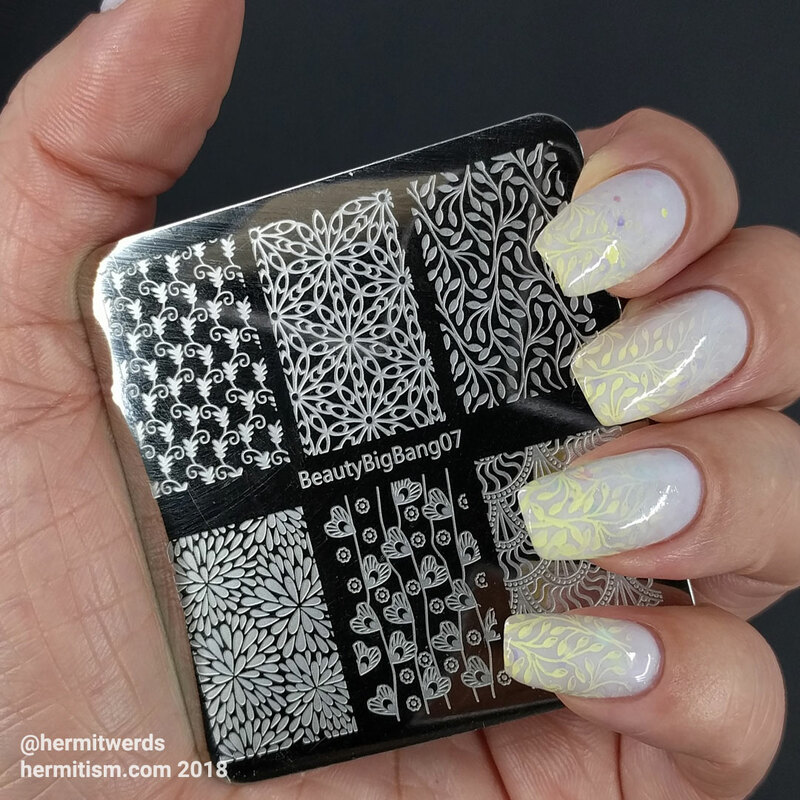 If you’re interested in buying this stamping plate at Beauty BigBang, be sure to use my discount code, hermi, for 10% off your order.